May 2014 Archives - Clarksville Sports Network - Clarksville Tennessee's most trusted source for sports, including Austin Peay State University. 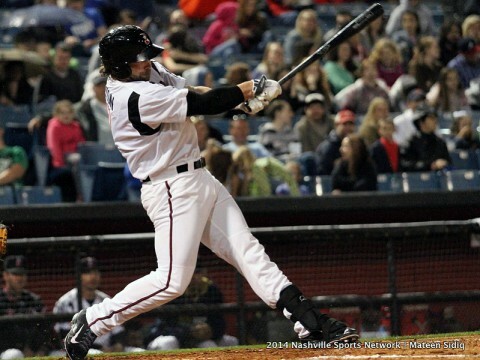 Nashville, TN – Jimmy Nelson struck out a career-high 11 batters while working his tenth consecutive quality start to lead the Nashville Sounds to a 2-1 victory over the visiting Iowa Cubs in front of 8,381 fans on Saturday evening at Greer Stadium. The first-place Sounds (31-26) won their fourth straight game overall and have been victorious in 17 of their last 23 games at Greer. 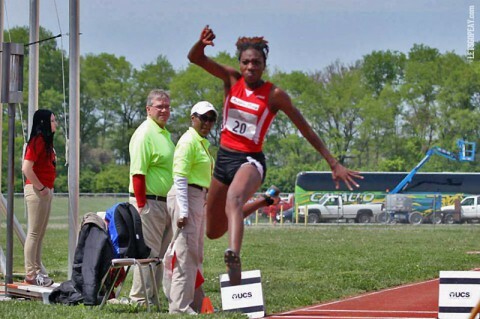 Jacksonville, FL – Freshman Austin Peay State University track and field athlete Kaylnn Pitts saw her first collegiate season come to an end with a 32nd-place finish in the triple jump, Saturday, at the NCAA East Preliminaries, hosted by North Florida. Pitts was one of the tone-setters for the event, jumping second out of the first of four flights. Nashville, Tn – Belmont University was presented the Ohio Valley Conference’s annual Institutional Sportsmanship Award Friday at the league’s annual Honors Brunch. The award goes to the Conference institution selected by its peers to have best exhibited the standards of sportsmanship and ethical conduct as outlined by the OVC and NCAA. Jacksonville, Fla – Breigh Jones is going to Oregon. The Austin Peay State University sophomore sprinter continued her ascension as one of the elite 400m runners in the nation with a seventh-place finish at the NCAA East Preliminaries, hosted by North Florida. The Memphis native now moves on to the NCAA Championship in Eugene, Oregon, June 11th-14th. She qualifies as one of the top 24 runners in the nation. She is the first Lady Gov to advance to the nation’s top collegiate meet under current APSU coach Doug Molnar. Clarksville, Tn – On May 20th, the Tennessee Board of Regents recognized Dr. Cooper Beazley’s unwavering support of Austin Peay State University over the years by presenting him with the 2014 Chancellor’s Award of Excellence in Philanthropy. Nashville, Tn – Belmont University men’s basketball graduate J.J. Mann (Smyrna, Ga.) accepted the 2014 Ohio Valley Conference Steve Hamilton Sportsmanship Award Friday at the league’s annual Honors Brunch. The award is given annually to an Ohio Valley Conference male or female student-athlete of junior or senior standing who best exemplifies the characteristics of the late Morehead State student-athlete, coach and administrator Steve Hamilton. Criteria include significant athletics performance along with good sportsmanship and citizenship. The award is voted on by the Conference’s athletics directors and sports information directors. 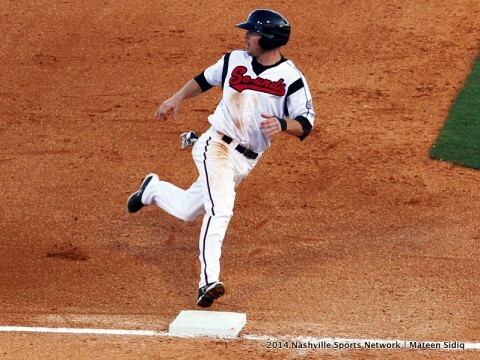 Nashville, TN – The first-place Nashville Sounds (30-26) clinched a series victory over the Colorado Springs Sky Sox with an 11-2 win at Greer Stadium Friday night. Nashville’s offensive success came mainly from another night of clutch hitting, as the Sounds hit 8-for-14 with runners in scoring position. During their three-game winning streak, the Sounds are now 14-for-28 in those situations. Nashville, Tn – Pounding out a season-high 20 hits — including two homers, three triples and four doubles — the No. 2-seeded Oregon Ducks rolled to an 18-1 win over No. 3-seeded Clemson on Friday afternoon in the opening game of the Nashville Regional at Hawkins Field. Oregon (43-18) advances to face the winner of Friday night’s Vanderbilt-Xavier game on Saturday at 7:00pm. Clemson (36-24) will face the Vanderbilt-Xavier loser in an elimination game on Saturday at 1:00pm. Nashville, Tn – Vanderbilt head coach Kevin Stallings has announced the hiring of Adam Cohen and Derrick Jones as assistant coaches on his basketball staff. 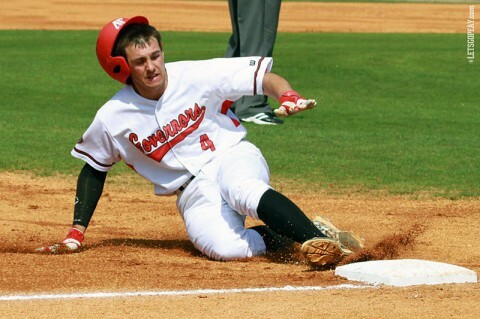 Clarksville, TN – A group of Austin Peay State University baseball players will continue their development in summer leagues across the country. Infielder Garrett Copeland will make the longest trek to play with the Anchorage Bucs of the Alaskan Summer League.